Toni Glas, Valerian, Kaisertum und Reformansätze in der Krisenphase des Römischen Reiches​. Paderborn: Ferdinand Schöningh​, 2014. Pp. 410. ISBN 9783506778888. This situation began to change during the last decade of the twentieth century, when a whole series of text-, hand- and sourcebooks went into print.2 All of a sudden, the topic appeared to be in vogue. Not just overviews, but also a substantial number of more detailed studies have been produced since. Quite a few such works have been clustered around the symptoms of political, religious, economic, fiscal and military crisis, including the "Sonderreiche" in the east and in the west;3 others have been concerned with individual emperors.4 While several of these have contributed considerably to our understanding of the period, some—especially those whose authors have chosen a biographical approach—are clearly lacking in substance. About an emperor like Probus we know far too little (and next to nothing for certain) to make him an interesting subject for a biography. The emperor Valerian (ruled 253 to 260) is not quite as bloodless as Probus. The former consul and princeps senatus came to power while the political and strategic crisis of the empire was hitting its peak, with a rapid succession of short-lived emperors, from Decius to Aemilianus, and a series of bloodcurdling military defeats. What is more, he was the only emperor between Severus Alexander and Diocletian who was able to establish something that remotely looked like a dynasty and the first to unleash a persecution targeting the growing Christian community. Finally, he was the emperor responsible for the devastating defeat the Roman army suffered against Shapur I at Carrhae (260) and the first Roman ruler to be taken into into captivity. Not surprisingly, this got him some bad publicity, not least, but by no means exclusively, among Christian writers. All in all, the events of his reign make Valerian a rewarding focal point for a study of the years that arguably marked the apex of the empire's woes in the third century. It is therefore somewhat surprising that Glas' 2012 Berlin thesis is the first monograph on the period since Pugliese Carratelli's L'età di Valeriano e Gallieno (1951). Even if one includes de Blois' book on Gallienus, there is precious little scholarship on the decisive years between the death of Decius and the Battle of Carrhae. Glas' book is lucidly structured: a short introduction (chapter I) is followed by a section on sources (chapter II). The problematique of the Historia Augusta is briefly revisited; Persian sources and material evidence (strangely labelled 'Primärquellen') are put into context. The following chapter (III) deals with the historical premises of Valerian's rule: his origins and family (about which very little is known), his predecessors and the historical anomaly of the 'soldier emperors' ('Soldatenkaiser') in general, and the 'scenario of crisis', with the brief reigns of Trebonianus Gallus and Aemilianus in 253. A chronological chapter (IV) covering the period from the accession of Valerian to his capture by Shapur provides a reliable reconstruction of the histoire événementielle largely based on epigraphic and numismatic evidence. The thesis' centrepiece is formed by the following two chapters, a section on the internal (V) and external (VI) actions put in place by Valerian in order to defend the empire and consolidate his own power. While she probably somewhat overrates the emperor's ability for political reform (e.g. "Reformansätze", p. 240) and visionary planning (and indeed the strategic insight any ruler could have at the time), the bottom line of Glas' observations is undoubtedly correct: many of Valerian's actions clearly set the course for the decades to come. This includes the mobility he added to the—theretofore largely static —army by establishing new cavalry units as well as the deliberate step towards sharing imperial authority with his son Gallienus, who was duly appointed Augustus, thus anticipating the core element of the tetrarchy established by Diocletian ("[…] bereits eine Entwicklung zu einem legalen Mehrkaisertum […]", p. 210). This also includes his persecution of the Christians, an unprecedented action that, however, was prompted by Valerian's die-hard traditionalism. Glas' overall positive judgement cannot be rejected, though the one factor that probably contributed most to stabilising the empire—the creation of two autonomous spheres of authority in west (Gaul) and east (Palmyra)—was hardly on any emperor's reformist agenda, but a sheer contingency. 1. With only few exceptions: Bleckmann 1992; Christol 1997; Hartmann 1982; Mazza 1973; Strobel 1993. 2. Ando 2012; Bowman et al. 2005; Hekster 2008; Johne 2006; Johne 2008; Potter 2004; Sommer 2004. 3. Berrens 2004; Drinkwater 1987; Eich 2005; Fischer 2012; Haas 2006; Hartmann 2001; Mennen 2011; Witschel 1999. 4. de Blois 1976; Geiger 2013; Herrmann 2013; Körner 2002; Watson 1999. 5. As can be observed in Kreucher 2003. 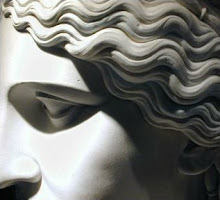 Ando 2012: Ando, Clifford: Imperial Rome AD 193 to 284. The critical century, The Edinburgh history of ancient Rome, vol. 6, Edinburgh 2012. Berrens 2004: Berrens, Stephan: Sonnenkult und Kaisertum von den Severern bis zu Constantin I. (193-337 n. Chr. ), Stuttgart 2004. Bleckmann 1992: Bleckmann, Bruno: Die Reichskrise des III. Jahrhunderts in der spätantiken und byzantinischen Geschichtsschreibung. Untersuchungen zu den nachdionischen Quellen der Chronik des Johannes Zonaras, Quellen und Forschungen zur Antiken Welt, vol. 11, München 1992. Bowman et al. 2005: Bowman, A.K. et al. (edd. ): The Crisis of Empire. A.D. 193-337, The Cambridge Ancient History, vol. 12, Cambridge 2005. Christol 1997: Christol, Michel: L' empire romain du IIIe siècle. Histoire politique (de 192, mort de Commode, à 325, concile de Nicée), Paris 1997.
de Blois 1976: Blois, Lukas de: The Policy of the Emperor Gallienus, Leiden 1976. Drinkwater 1987: Drinkwater, John F.: The Gallic Empire. Separatism and continuity in the north-western provinces of the Roman Empire, A.D. 260-274, Historia Einzelschriften, vol. 52, Stuttgart 1987. Eich 2005: Eich, Peter: Zur Metamorphose des politischen Systems in der römischen Kaiserzeit. Die Entstehung einer "personalen Bürokratie" im langen dritten Jahrhundert, Berlin 2005. Fischer 2012: Fischer, H. Thomas (ed. ): Die Krise des 3. Jahrhunderts n. Chr. und das Gallische Sonderreich. Akten des interdisziplinären Kolloquiums Xanten 26. bis 28. Februar 2009, Schriften des Lehr- und Forschungszentrums für die antiken Kulturen des Mittelmeerraumes - Centre for Mediterranean Cultures, Bd. 8, Wiesbaden 2012. Geiger 2013: Geiger, Michael: Gallienus, Frankfurt am Main 2013. Haas 2006: Haas, Jochen: Die Umweltkrise des 3. Jahrhundert n. Chr. im Nordwesten des Imperium Romanum. Interdisziplinäre Studien zu einem Aspekt der allgemeinen Reichskrise im Bereich der beiden Germaniae sowie der Belgica und der Raetia, Stuttgart 2006. Hartmann 1982: Hartmann, Felix: Herrscherwechsel und Reichskrise. Untersuchungen zu den Ursachen und Konsequenzen der Herrscherwechsel im Imperium Romanum der Soldatenkaiserzeit (3. Jahrhundert n. Chr. ), Frankfurt am Main 1982. Hartmann 2001: Hartmann, Udo: Das palmyrenische Teilreich, Oriens et Occidens, vol. 2, Stuttgart 2001. Hekster 2008: Hekster, Olivier: Rome and its Empire. AD 193-284, Edinburgh 2008. Herrmann 2013: Herrmann, Katrin: Gordian III. Kaiser einer Umbruchszeit, Speyer 2013. Johne 2006: Johne, Klaus-Peter (ed. ): Deleto paene imperio Romano. Transformationsprozesse des Römischen Reiches im 3. Jahrhundert und ihre Rezeption in der Neuzeit, Stuttgart 2006. Johne 2008: Johne, Klaus-Peter: Die Zeit der Soldatenkaiser. Krise und Transformation des Römischen Reiches im 3. Jahrhundert n. Chr. (235-284), vols. 1-2, Berlin 2008. Körner 2002: Körner, Christian: Philippus Arabs. Ein Soldatenkaiser in der Tradition des antoninisch-severischen Prinzipats, Berlin 2002. Kreucher 2003: Kreucher, Gerald: Der Kaiser Marcus Aurelius Probus und seine Zeit, Stuttgart 2003. Mazza 1973: Mazza, Mario: Lotte sociali e restaurazione autoritaria nel III secolo d.C., Roma 1973. Mennen 2011: Mennen, Inge: Power and Status in the Roman Empire, AD 193-284, Impact of empire, vol. 12, Leiden 2011. Potter 2004: Potter, David S.: The Roman Empire at Bay. AD 180-395, London 2004. Sommer 2004: Sommer, Michael: Die Soldatenkaiser, Darmstadt 2004. Strobel 1993: Strobel, Karl: Das Imperium Romanum im "3. Jahrhundert". Modell einer historischen Krise? Zur Frage mentaler Strukturen breiterer Bevölkerungsschichten in der Zeit von Marc Aurel bis zum Ausgang des 3. Jh. n. Chr, Stuttgart 1993. Watson 1999: Watson, Alaric: Aurelian and the Third Century, London 1999. Witschel 1999: Witschel, Christian: Krise - Rezession - Stagnation? Der Westen des römischen Reiches im 3. Jahrhundert n. Chr., Frankfurt am Main 1999.